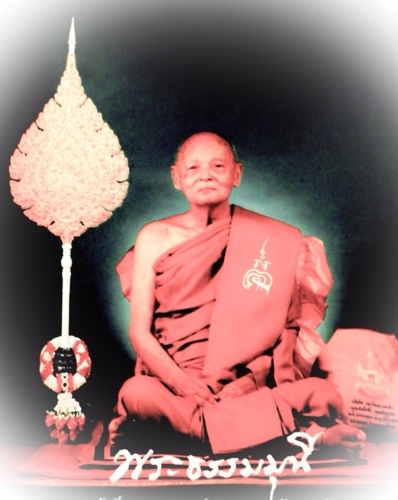 Pra Somdej Wat Gaes Chaiyo Jet Chan - Nuea Pong Puttakun - Luang Por Pae, Wat Pikul Tong (Singhburi). 7 Tiered Buddha Image with split Civara chest, Bai Sri ears, famous 100th Centenary of Wat Pikul Tong blessed by the Great Luang Por Pae, in 2535 BE. Luang Por Pae's Amulets are a Fine Class Sacred Amulet that are still not yet outside the reach of those with lesser Budgets than some of the Wealthier Collectors (although they are now experiencing rapid depletion, as the last remaining preferred models are snapped up by Thai and International collectors and devotees. 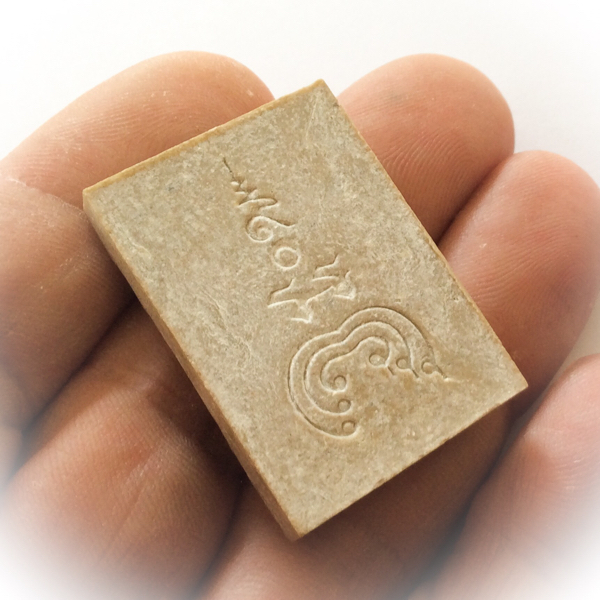 The Pra Somdej 7 Chan Pim Wat Gaes Chaiyo, is a Fine and recommendable Truly sacred Amulet of the Pim Niyom Class. 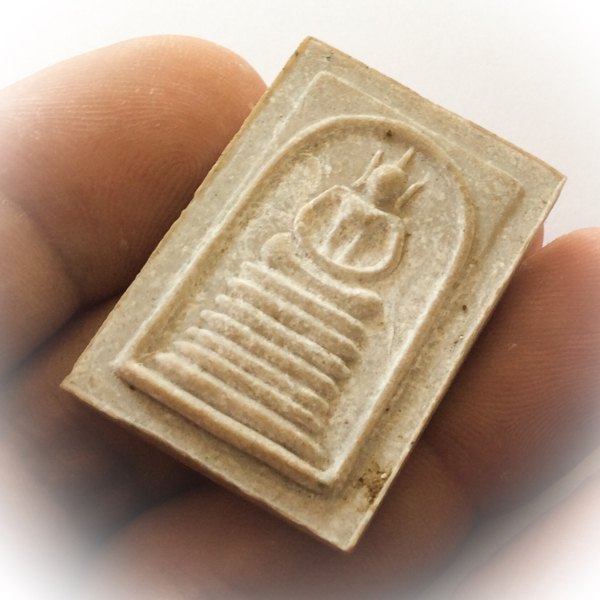 It is easily presentable in show, and is an amulet that any Thai Amulet Collector in the Know would be quite Proud to own and Wear, however Rich or Not. This is thus what we call a Top Class Amulet, at a very affordable price, comes including Waterproof Casing if you wish. Gold Custom casing is available at extra cost, we will email you with an estimate according to present gold prices at the time of order, if you prefer this option. 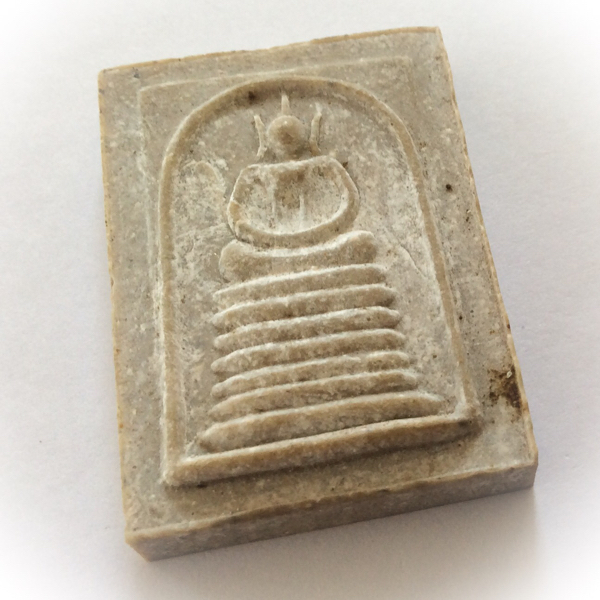 This amulet was released marking the 100th Anniversary of Wat Pikul Tong Temple, and is now a Classic Edition, very rare indeed to find. This particular model is made using the Wat Gaes Chaiyo style of Somdej Pra Puttajarn (Dto) Prohmrangsri of Wat Rakang Kositaram. 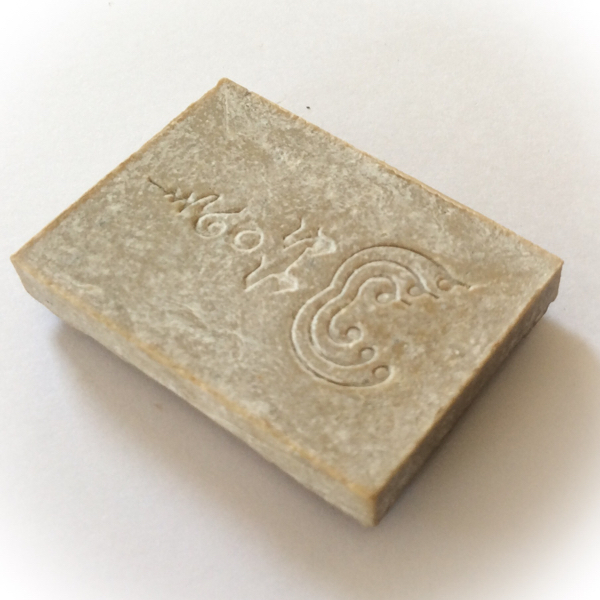 The amulet has a fine layter of Pong Puttakun powders risen up to the surface, which is believed by the faithful to be a sign of high empowerment and sacredness appearing through the amulets surface. 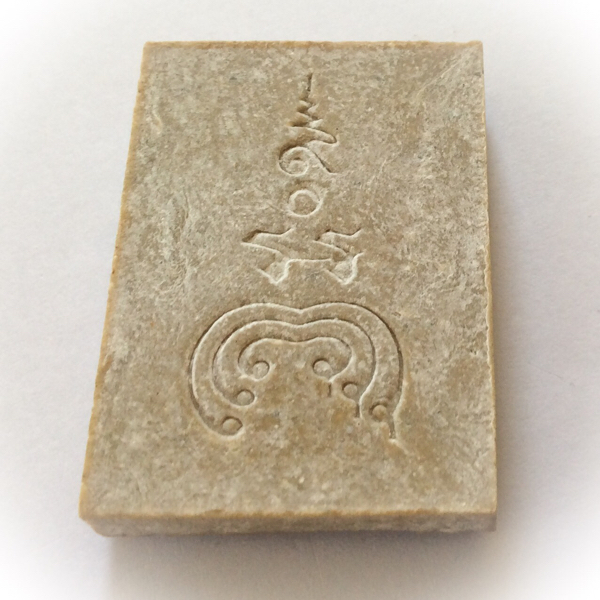 This Pra Somdej Centenary Edition amulet from Luang Por Pae, is a Historical Classic amulet, which can easily be included in the Benjapakee class of amulets, under the Pra Somdej Category. This is because the Pra Somdej Category of Benjapakee Classics normally includes any top Classic which is widely accepted and has more than enough points of reference, to pass the correct Pedigree. 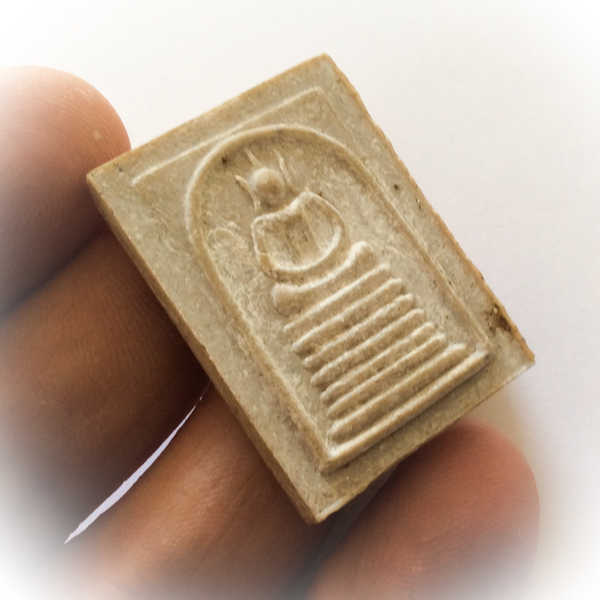 It is one of the preferred (Niyom) and seldom found of Luang Por Pae's amulets. The amulets of this great master, have been seen to dwindle from the public amulet markets, which is due to the fact that not only Thai people have been reverie and holding his Amulets over the last decade or so up, rather that all around Southeast Asia. 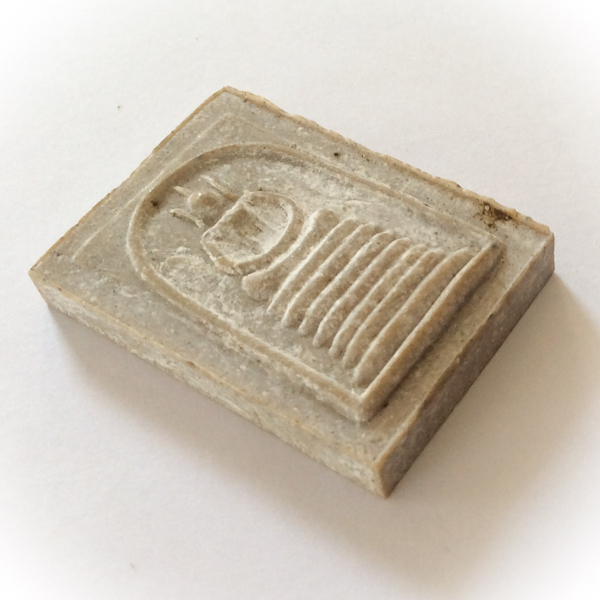 Even as far as western world, people have been snapping up and hiding and stashing away his Amulets like treasure that may never be found again, which is indeed going to be true pretty soon. This has resulted in an accelerated depletion of his Amulets, despite the fact that classic Amulets made according to the official formlas such as the Pra Somdej amulet, are making numbers of up to 84,000 per edition they have still managed to begin to disappear from the public view, for indeed, with over 60 Million people in Thailand and rising, and Misllions of Buddhists around the world, 84,000 is indeed not such a large number after all. They are now not only becoming classics but also extreme rarities and the next decade can expect to see these Amulets becoming immensely difficult to seek out. 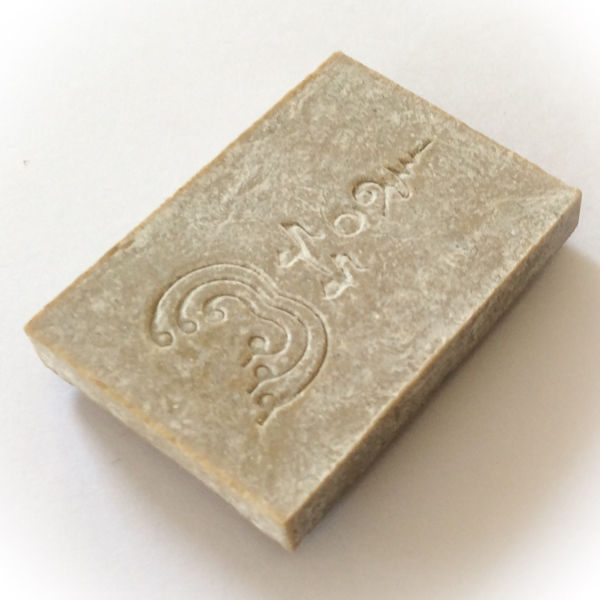 Made from Pong Puttakun, (Buddhakun Powders, according to the Dtamra Pra Somdej making, using the five sacred powders made from Yantra Inscriptions (Pong Wised 5 Chanid). 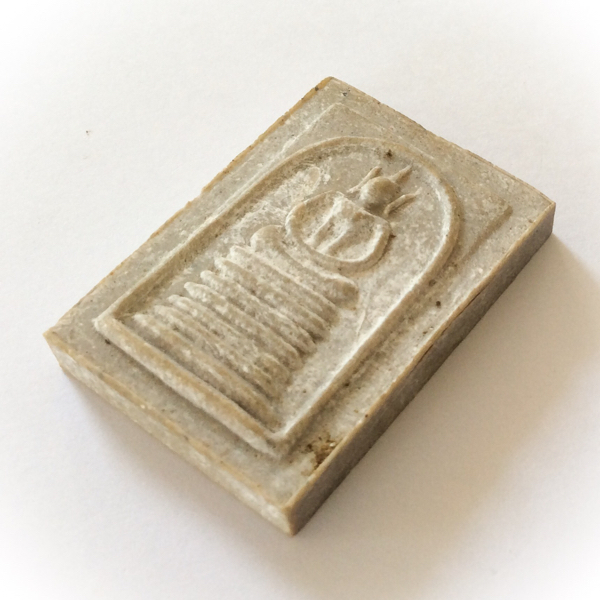 Luang Por Pae's amulets are famous for the mass of Pong Puttakun that rises to the surface and leaves a fine layer of white mildew upon the surface, revealing empowerment by a monk with true purity of practice.